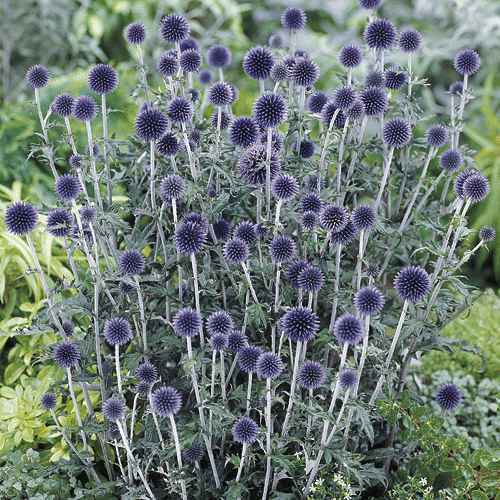 Description: Globe thistles are stalwart perennials that produce metallic-blue blossoms with perfectly round flower heads atop ribbed stems. Plants grow two to five feet tall and almost as wide. The spiny-edged leaves are white and woolly underneath. Outstanding Features: This plant is attractive to bees, butterflies and/or birds. Uses: The larger species are impressive when used in background plantings or when grown as specimen plants. The smaller types are attractive in a bed, border, or wild garden. 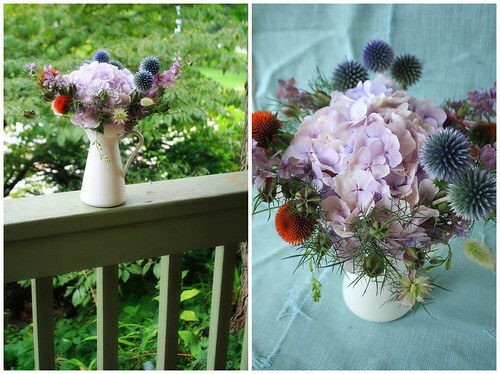 Is also nice dried or in cut arrangements. Tips: Self-sows freely; deadhead if you do not want volunteer seedlings next season. This plant is resistant to deer.